External power supply for Pod enclosure. The 4ms Power Brick, 45W is a robust PUS designed for use with the 4ms Pods. Each Power Brick can provide power for up to 10 Pod enclosures. The 4ms Power Brick uses low-noise components for optimal audio performance from your 4ms Pods. Additionally, you can use the Power Brick to power external devices (check below for specifications). 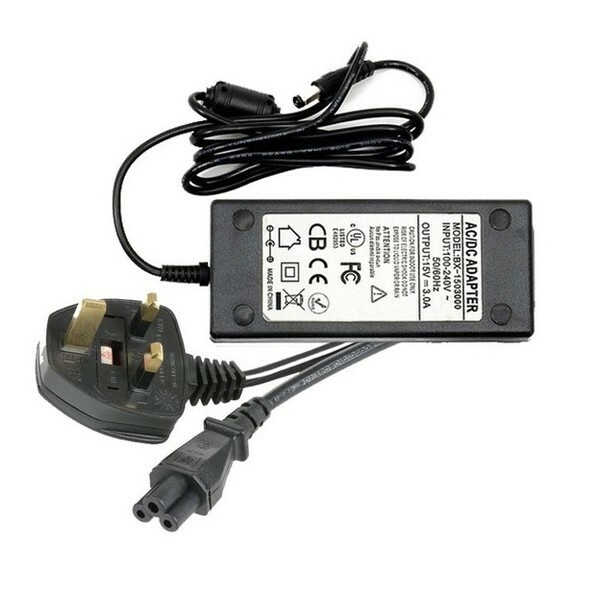 A lot of today's musical equipment requires mains power supply. Whether that's your DJ decks or your MIDI controller. The ACVL clover leaf power cable is tough enough to withstand a lot of abuse from your latest tour schedule. Stay powered up when you need it most. Don't let a small thing like energy disrupt your inspiration.